At Agave Chiropractic, our goal for your visits are simple—to make the process as smooth and easy for you as possible. The best part? Unlike most healthcare offices, there will be no new patient paperwork for you to fill out when you arrive! Everything can be completed beforehand from the comfort of your own home through our online portal, which will be shared with you upon making your appointment. During your first visit, you’ll meet with Dr. Paul to discuss what brought you in. He’ll go over what chiropractic care is all about and how it can help you. He’ll then perform a thorough spinal exam along with orthopedic and neurological testing. Depending on the severity of your injury, he may recommend X-rays that can be taken onsite. Our practice is big on education, and we encourage you to ask any questions that you may have about your recommended care plan. After all, we like patients to take an active role in their health to ensure it lasts a lifetime! If you’d like to begin care after discussing chiropractic adjustments with Dr. Paul, we’re happy to perform your first adjustment on this day. Please reserve 30-45 minutes for your first appointment. At Agave Chiropractic, we’ll never rush you and always make sure to give each patient the quality care and attention that they deserve for proper healing. Each spinal adjustment we offer is performed by hand, and we’ll also give you instructions for taking care of your spine at home. Our ultimate hope for you is that you begin to feel better with every visit to our practice. Does Agave Chiropractic accept insurance plans? Yes! We’re happy to accept most major insurance plans. The best way to find out if our practice participates with yours is to give us the information to confirm as benefits vary from person to person. 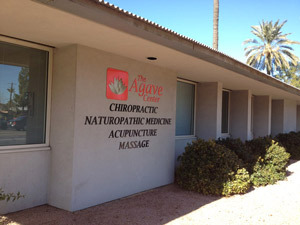 Agave Chiropractic has been happily accepting Medicare for the past 20 years. Are car accident patients welcome for care? Absolutely. We encourage everyone to get their spine checked immediately following an auto accident at Agave Chiropractic to ensure proper health and to help you recover as best as possible. Do you offer any discounts for cash patients? For cash patients, we do offer discounts. Please give us a call or ask at your first appointment so we can better assist you. Have additional questions? Don’t hesitate to call! Agave Chiropractic is happy to accept most insurance plans and Medicare as well as offer same-day appointments. We’re ready to help you feel and heal better.